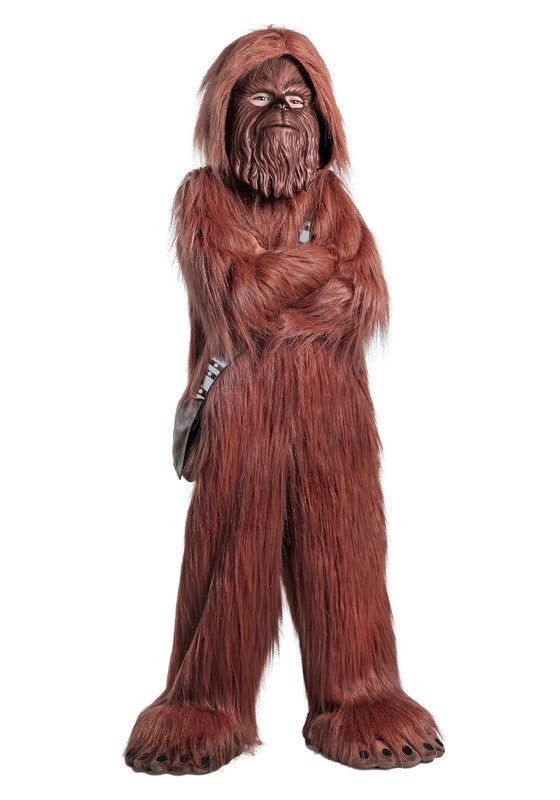 Raising a kid can be tough, but if your child proudly proclaims that he wants to be Chewbacca for Halloween, then you've done a pretty good job. The big furry wookiee from Star Wars embodies all the characteristics that hero should have. He's loyal, he always tries to lend a helping hand when plans go awry and he's covered in fur from head to toe. 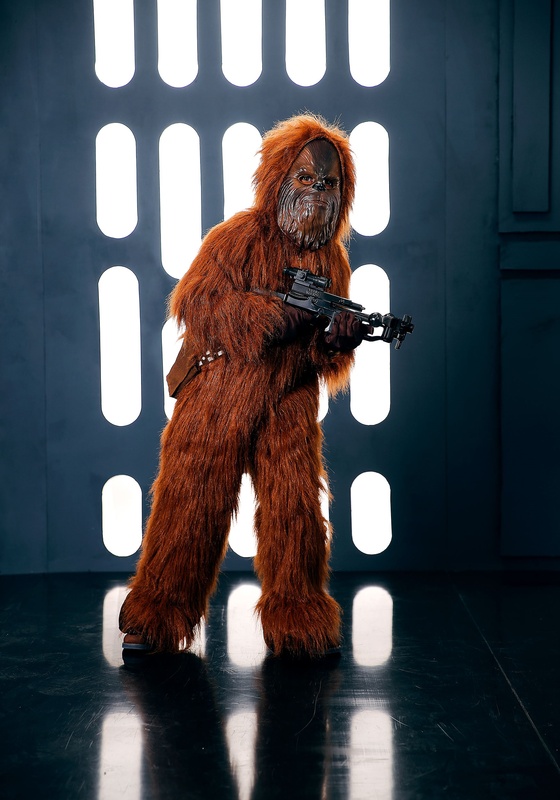 So, we think having Chewie as a role model is a pretty good start to life. 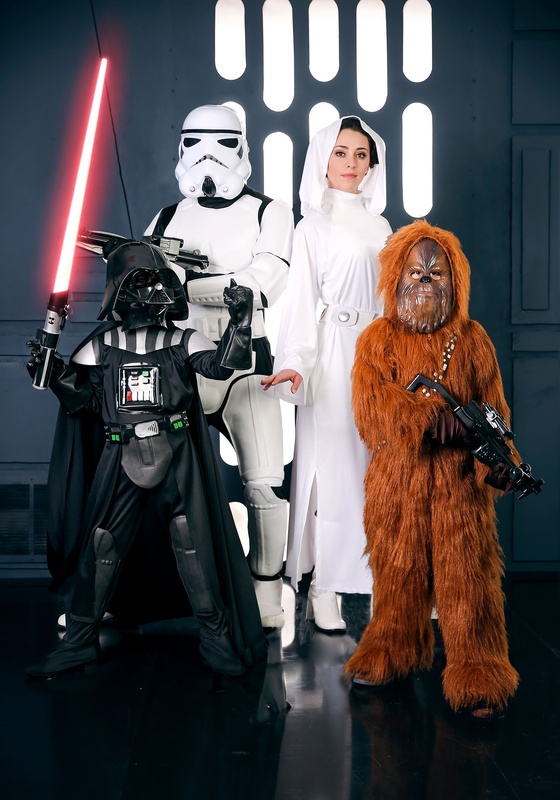 Of course, no parent wants to deny their child the opportunity to dress up like their favorite hero, so we're here to help you out with an awesome costume from the movies. 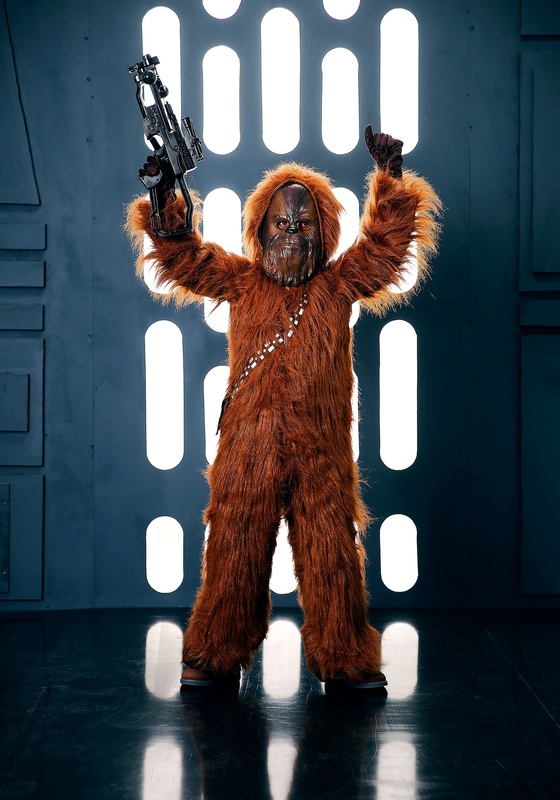 This deluxe Chewbacca costume brings your child the fuzzy look of everyone's favorite wookiee. 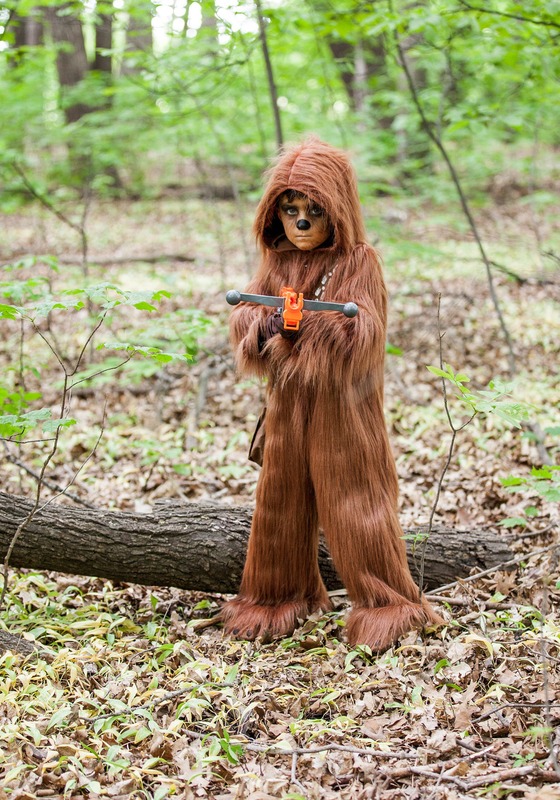 The full-body jumpsuit fits with a zipper and is completely covered in synthetic hair that will have your child looking just like the furry Kashyyyk native. 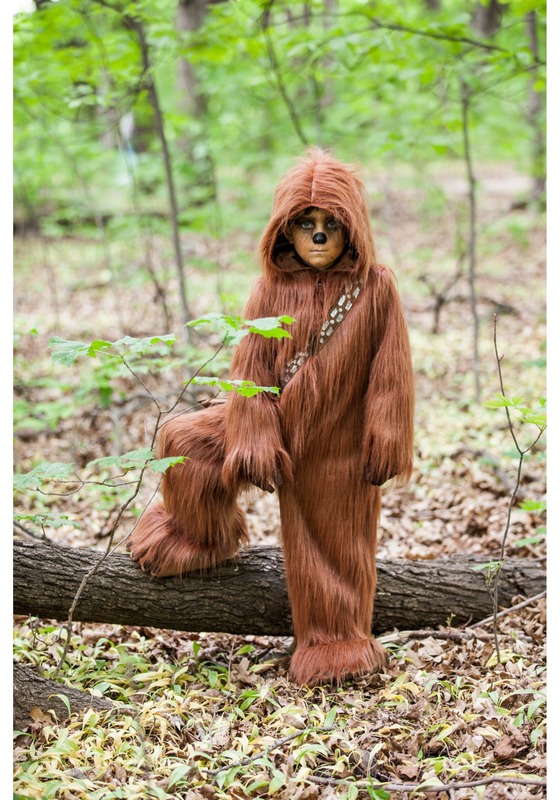 All your young one needs is this fully licensed Star Wars costume, an active imagination and a really awesome wookiee growl to turn everything around him into a Star Wars adventure. The family car becomes the Milennium Falcon. The backyard becomes the forest moon of Endor. And you? 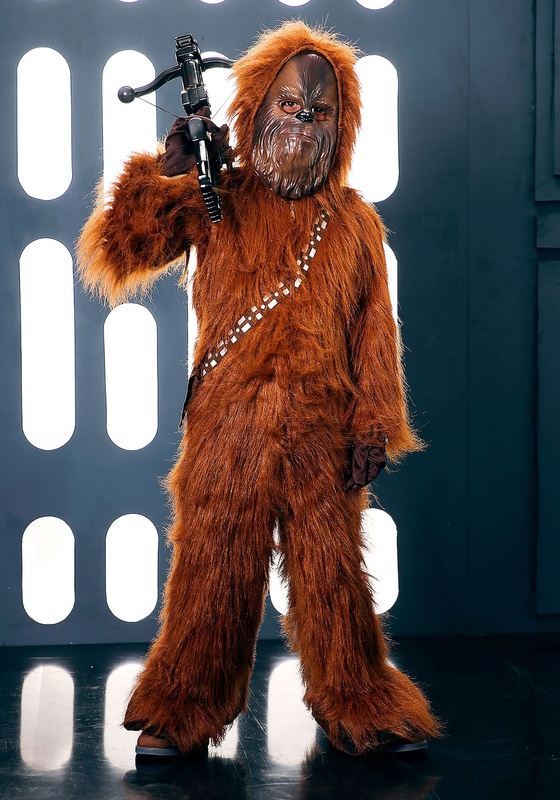 Well, let's just say that when your kid wears a Chewbacca costume, it gives you a valid reason to wear a Han Solo or Princess Leia costume. What respectable adult doesn't want to have a good reason to dress up like the notorious smuggler Han Solo or the daring hero, Princess Leia?